Is The New Testament True? Many years ago, when I first became interested in Christianity, I encountered a book at a local bookstore entitled, The Lost Books of the Bible. As a new investigator of the claims of the New Testament, I was immediately intrigued. “What?” I thought, “There are books about Jesus that were lost?” I couldn’t help but wonder what these books said about Jesus and why they were allegedly “lost” in the first place. I bought the book and began to research the historical texts it described. I was disappointed to discover that the book should have been titled, The Well Known, Late Lies About Jesus That Were Ignored By Christians Who Knew Better. These texts were never part of the New Testament canon. They were written late in history and rejected by everyone who knew the truth about Jesus of Nazareth. What Motivated Early Non-Canonical Writers to Modify the Story of Jesus? Although these late legends contain many exaggerations and lies, they built their myths and fabrications on the foundation of a true account. As we sift through the legendary claims, we can expose the true foundations upon which they crafted their stories. Once exposed, these foundations can give us even greater confidence the original story of Jesus is early and accurate, even though these late legends are not to be trusted. Do the Non-Canonical Gospels Challenge the Historicity of the New Testament? Those who sought to change the story of Jesus in antiquity were driven by a desire to validate their theological presuppositions. We have little reason to accept late re-writes of the life and ministry of Jesus; these non-canonical fictions were rejected by the ancients who recognized their late arrival and understood the self-serving motivations of their proponents. Why Shouldn’t We Trust What the Non-Canonical Gospels Say About Jesus? There are dozens of ancient non-canonical legends related to Jesus. That’s shouldn’t surprise us. Given the nature of Jesus and his impact on our world, we should expect to find such a reaction to his life and ministry. In fact, the explosive body of ancient literature related to Jesus is a testimony to both His historicity and Divine nature. Only the Son of God could provoke such a response. It’s our job, however, to eliminate the late stories and isolate the early eyewitness accounts. Why Shouldn’t We Trust the Non-Canonical Gospels Attributed to Peter? The original manuscript of the Preaching of Peter is now lost to us. We do, however, have a few fragments and evidence from letters written by Clement of Alexandria (150-215AD) and Origen (185-254AD) that quote the Preaching of Peter in several places. In addition, Origen wrote early church leaders like Heracleon used the text alongside the canonical Gospels. Why Shouldn’t We Trust the Non-Canonical Gospel Attributed to Mark? The Secret Gospel of Mark is described in a letter attributed to Clement of Alexandria (150-215AD), although this alleged letter has been attacked as a forgery by many scholars. The letter is the only source referencing the gospel; there are no existing manuscripts of The Secret Gospel of Mark. Clement was allegedly writing to another Christian leader named Theodore, advising him about the existence of a more expansive version of the Gospel of Mark containing additional stories and sayings of Jesus. This allegedly extended version of Mark’s Gospel was reportedly known only to Jesus’ innermost circle. Why Shouldn’t We Trust the Non-Canonical Gospel Attributed to John? The Apocryphon of John is a Sethian Gnostic text (Sethians were named for their reverent adoration of the Seth, the son of Adam and Eve, who they described as a divine incarnation and the ancestor of a superior race of humans). Like other Sethian texts, it was first discovered as part of the Nag Hammadi Library collection in Egypt in 1945. 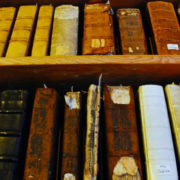 The copies date to the 4th century, but scholars place the writing of the text in the 2nd century. The Apocryphon of John describes an appearance of Jesus to the Apostle John (after Jesus’ ascension) in which Jesus provides John with secret knowledge, much like other narratives in the tradition of Gnosticism. Why Shouldn’t We Trust the Non-Canonical Gospels Attributed to James? Like the “First” Apocalypse of James, this Gnostic text was discovered in 1945 as part of the Nag Hammadi collection in Egypt. Scholars actually date the “Second” Apocalypse of James earlier that the “First”. While the manuscript discovered at Nag Hammadi dates to the 3rd or 4th century, scholars believe that the original text was written in the middle of the 2nd century. The Second Apocalypse of James was written as a reported dialogue between Jesus and James the Just (Jesus’ brother) and allegedly recorded by a priest named Mareim. Why Shouldn’t We Trust the Non-Canonical Gospels Attributed to Thomas? This late non-canonical text was first discovered in 1945 as part of a large collection of papyri excavated near Nag Hammadi in Egypt. It is a collection of sayings attributed to Jesus, written in the Coptic language, and attributed to a conversation recorded by “Didymos Judas Thomas”. Why Shouldn’t We Trust the Non-Canonical “Gospel of Philip”? The Gospel of Philip is yet another Gnostic gospel discovered as part of the Nag Hammadi collection in Egypt in 1945. The text was found in the same codex that also contained The Gospel of Thomas, but unlike The Gospel of Thomas, this text is not a collection of “sayings of Jesus” as much as it is a collection of “Gnostic teachings”. The original text was not called The Gospel of Philip; this title has been applied to the text in modern times because Philip is the only disciple of Jesus that is mentioned in the document. Why Shouldn’t We Trust the Non-Canonical “Gospel of Mary”? The Gospel of Mary was discovered in 1896 as part of a larger set of papyri. Later discoveries of additional papyri have helped to provide us with a reconstruction of the Gospel, but even with the additional manuscripts, many chapters are still missing. Scholars disagree about the identity of Mary within the text, but most believe that she was intended to represent Mary Magdalene. Scholars have dated the writing of the text to the mid or late 2nd century. Why Shouldn’t We Trust the Non-Canonical “Gospel of Judas”? The Gospel of Judas is a Gnostic text similar to other texts from the 2nd century and later. Like other Gnostic Gospels, it contains a conversation between Jesus and one of His disciples (in this case Judas) in which Jesus reveals a secret, esoteric knowledge. It also describes the death of Jesus from Judas’ perspective. The text was discovered in the 1970s near Beni Masah in Egypt and was written in the Coptic language, similar to other Gnostic texts. Only one copy has ever been discovered and this copy is in very poor condition, missing large portions of text. Why Shouldn’t We Trust the Non-Canonical Gospels Attributed to Matthias? The Traditions of Matthias is described by Clement of Alexandria in a letter (Miscellanies written in 210AD) and many scholars suspect that it is the same text known as the Gospel of Matthias and mentioned by Origen, Eusebius, Ambrose, and Jerome. While the manuscript is lost, there are still three small quotes from Clement’s letter that are available to us. The text may have contained a narrative of Jesus’ life along with teachings, but it is difficult to know from what little we have today. Why Shouldn’t We Trust the Non-Canonical Gospels Attributed to Bartholomew? This text has been reconstructed from three Coptic fragments and additional pieces of papyri (the Coptic language was spoken in Egypt until the 7th century). The dating for the book has been very difficult to establish. The British Museum possesses the best manuscript of The Book of the Resurrection of Christ by Bartholomew the Apostle, but this manuscript dates to the 12th century. There are fragments of the text that are much older, but scholars are undecided on the original date of authorship. Some place it as late as the 5th or 6th century given its similarities to other Coptic literature. Why Shouldn’t We Trust the Non-Canonical “Gospel of Nicodemus” or “The Acts of Pilate”? The Gospel of Nicodemus is a Medieval Latin text that scholars believe to have been written in the middle of the 4th century, reportedly by a member of the “Order of Nicodemus”. It includes, as part of the text, a section entitled The Acts of Pilate and the two titles (for the combined text) are usually used interchangeably. The first two parts of the text attempt to recall the trial and resurrection of Jesus, while the third section (The Acts of Pilate) describes Jesus’ descent to “Limbo”. Why Shouldn’t We Trust the Non-Canonical “Gospel of Basilides”? Nothing of this Gospel survives today. What little we do know about Basilides and his followers comes first from the letters of Hippolytus, Clement of Alexandria, Origen, and Hegemonius (all of whom described Basilides as a heretic). Basilides was an early Gnostic teacher in Alexandria, Egypt between 117-138AD. He taught among the Persians and wrote many commentaries on the orthodox Gospels (assembled as a volume known as Exegetica). The Gospel of Basilides is mentioned by Origen, Jerome, Ambrose, Philip of Side, and Venerable Bede. Why Shouldn’t We Trust the Non-Canonical “Gospel of Marcion”? The Gospel of Marcion (also known as The Gospel of the Lord) was used by Marcion, the infamous heretic and one-time Bishop of Sinope between the years of 150-160AD. The text is lost to us, but the Early Church Fathers and apologists (such as Tertullian) criticized The Gospel of Marcion extensively in their own writings; we can now reconstruct much of The Gospel of Marcion from the critical writings of the Church Fathers. Marcion’s Gospel (as acknowledged by the vast majority of historical scholars) appears to be a modification of The Gospel of Luke, altered to support Marcion’s theological ideas. It is typically dated in the mid-2nd century. Why Shouldn’t We Trust the Non-Canonical “Gospel of the Egyptians”? Like other early heretical Gnostic works, The Gospel of the Egyptians (also known as The Greek Gospel of the Egyptians) is presently lost to us. What we do know about the text is what is mentioned by Clement of Alexandria, Hippolytus, and Epiphanius of Salamis. From what little we have, it is impossible to know if the text was a narrative about Jesus or simply a collection of sayings. Why Shouldn’t We Trust the Non-Canonical “Second Treatise of the Great Seth”? The Second Treatise of the Great Seth was also discovered at the Nag Hammadi Library in Egypt in 1945. Its title comes from the final line of the text and it is unknown if there was a First Treatise, as none has ever been discovered. It is yet another example of Sethian Gnosticism; a text used by a group who originally worshipped the biblical Seth as a messianic figure and later treated Jesus as a re-incarnation of Seth. The text is written as though Jesus Himself is the author. Why Shouldn’t We Trust the Non-Canonical “Holy Book of the Great Invisible Spirit”? Two versions of The Holy Book of the Great Invisible Spirit were discovered in 1945 among the papyri of the Nag Hammadi Library in Egypt. Based on the Gnostic contents of the text and its position among other documents, scholars place the writing of the book in the 2nd century as yet another Gnostic Sethian document. Why Shouldn’t We Trust the Non-Canonical “History of Joseph the Carpenter”? Like The Infancy Gospel of Thomas and The Infancy Gospel of James, The History of Joseph the Carpenter is another example of non-canonical legend that was created in order to answer questions about the life of Jesus. Many details of Jesus’ life prior to the age of twelve were left unaddressed in the canonical Gospels, and several late non-canonical works were created in order to satisfy the growing desire for additional information. This text is written as a message from Jesus on the Mount of Olives in which he talks about the life of His stepfather, Joseph. Why Shouldn’t We Trust the Non-Canonical “Gospel of the Savior”? This Gnostic text was discovered by two American scholars in a Berlin museum. It is only a fragment, and scholars date the fragment to somewhere between the 4th and 7th century, although the date of writing has been attributed to the 2nd century. The manuscript was discovered on “calfskin” and only 15 pages remain from the original document which appears to have been damaged in a fire. It is a “sayings” document, much like The Gospel of Thomas, in which Jesus is quoted as the source for a number of statements. Why Shouldn’t We Trust the Non-Canonical “Arabic Gospel of the Infancy of the Savior”? This Infancy Gospel (like other apocryphal Infancy Gospels) was likely written to satisfy the curiosity of those who wanted more detail related to the childhood of Jesus. It appears to be a compilation written originally in Syriac and then later translated into Arabic, and it clearly draws from (and amplifies) information from prior Infancy Gospels. The document borrows heavily from The Infancy Gospel of James for material related to the Virgin Mary, from The Infancy Gospel of Thomas for material related to the childhood of Jesus, and then provides additional information (from an unknown source) related to the flight of the Holy Family into Egypt. Why Shouldn’t We Trust the Non-Canonical “Gospel of Truth”? The Gospel of Truth was discovered alongside other Gnostic texts in the Nag Hammadi Library in Egypt (in 1945). Scholars have dated it to the 2nd century and have connected it with an early Gnostic teacher named Valentinus (who lived from 100-160AD). It is a poetic “homily” rather than a “gospel”, and is now considered one of the most artful Gnostic writings of all time. Why Shouldn’t We Trust the Non-Canonical “Sophia of Jesus Christ”? The Sophia of Jesus Christ is yet another Gnostic text discovered in the Egyptian Nag Hammadi Library in 1945. The word “Sophia” here is most likely to be understood as “wisdom”, as this text claims to be a conversation between Jesus and his disciples in which Jesus provides them with hidden wisdom, much like other Gnostic examples that value secret, esoteric knowledge as the mechanism through which one can escape the fallen, material body. Why Shouldn’t We Trust the Non-Canonical “Dialogue of the Saviour”? The Dialogue of the Saviour was discovered, along with other Gnostic texts, in the Nag Hammadi collection in Egypt in 1945. The original text was greatly damaged, but it appears to be a dialogue between Jesus and some of His followers or book of sayings bearing some similarity to The Gospel of Thomas. The text seems disjointed at points and jumps from topic to topic without continuity. For this reason, scholars have surmised that the text may have been assembled from a number of separate documents. 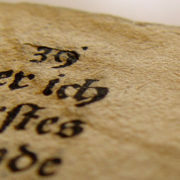 Scholars date the text to the mid to late 2nd century. Why Shouldn’t We Trust the Non-Canonical “Pistis Sophia”? This important Gnostic work has been known to scholars for over two hundred years. It was originally purchased by a private citizen from a bookseller in London and then purchased by the British Museum in 1785. It is an expansive document of Upper Egyptian origin that appears to be a collection (at least two scribes seem to be involved) of Gnostic Coptic manuscripts. The exact meaning of “Pistis Sophia” has been argued by scholars but generally means something akin to “Faith Wisdom” or “Wisdom of Faith”. The Pistis Sophia includes passages in which a transfigured Jesus is described as teaching His followers about the mysteries of Heaven and various spiritual matters. These ancient non-canonical texts are late, heretical documents. Follow the links and investigate each document. When they are examined under the criteria we use to determine eyewitness reliability, they fail the test. The four canonical Gospels (Mark, Matthew, Luke, and John) are still the earliest reliable record of Jesus, written within the lifetimes of the eyewitnesses who knew Jesus personally. J. Warner Wallace is a Cold-Case Detective, Christian Case Maker, Senior Fellow at the Colson Center for Christian Worldview, and the author of Cold-Case Christianity, Cold-Case Christianity for Kids, God’s Crime Scene, God’s Crime Scene for Kids, and Forensic Faith. Get the first chapter of "Stealing From God: Why Atheists Need God to Make Their Case" in PDF. Success! Your free resource is on the way! Check your email. What Really Happened at Nicea? 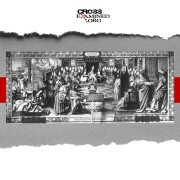 CrossExamined.org is a non-profit ministry started in 2006 that conducts dynamic I Don't Have Enough Faith to Be An Atheist seminars on college campuses, churches, and high schools. Why Oppose Evil? It’s a Sign of the End Times! Who Was the Pharaoh of the Exodus? Was There Really A Census During the Time of Caesar Augustus? ¿Qué es la filosofía y por qué no puedes evitarla? © Copyright 2014 CrossExamined.org. All Rights Reserved. Design By Microhound.